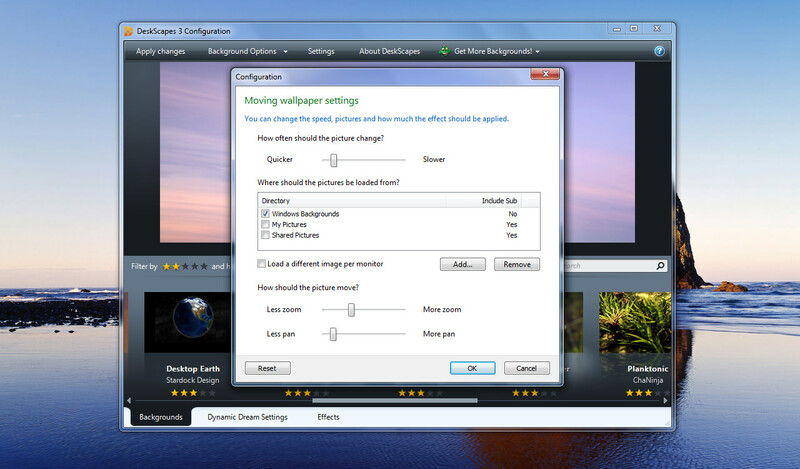 DeskScapes is a program that allows users to have animated wallpaper on their Windows 8, 7, Vista or XP desktop. It supports playing video as animated wallpaper, dynamically generated content as animated wallpaper, and more. The program extends Windows wallpaper with the ability to run .Dream animated wallpapers. .Dream files can be looped video, or dynamically generated in 3D, or change based on a set of triggers. Basically DeskScapes turns Windows wallpaper into something more. If you need more information please contact the developers of DeskScapes (Stardock Corporation), or check out their product website.